Acting FBI Director Andrew McCabe prepares to testify during the Senate Intelligence Committee hearing on worldwide threats on Thursday. McCabe also said the FBI's ongoing probe into Russian involvement in the 2016 elections and possible collusion with the Trump campaign was "highly significant," disputing a White House characterization that the investigation "was one of the smallest things that they've got going on their plate." 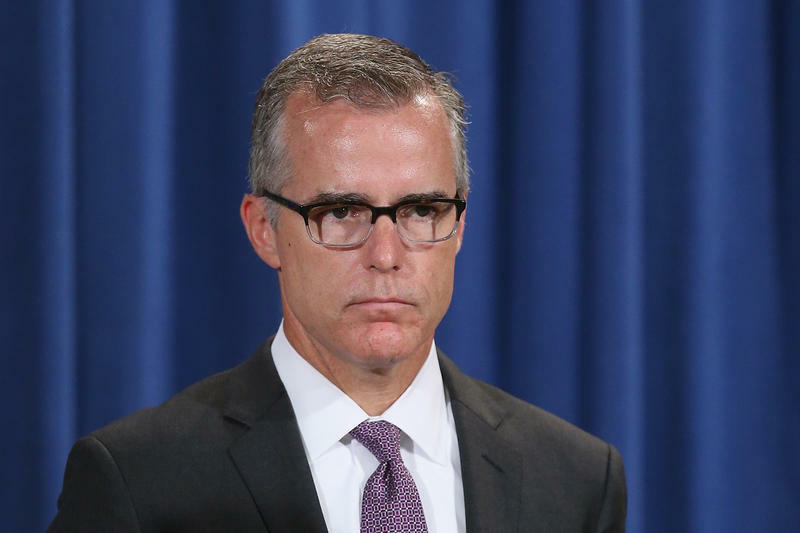 "It is my opinion and belief that the FBI will continue to pursue this investigation vigorously and completely," McCabe said. Committee Vice Chairman Mark Warner, D-Va., noted that Comey's absence was atop his mind and that he had plenty of questions for McCabe and the other intelligence leaders about the Russia probe. "It's hard to avoid the conclusion that the president's decision to remove Director Comey was related to the Russia investigation," Warner said, "and that is truly unacceptable." Committee Chairman Richard Burr, R-N.C., made it clear in his opening statement that he wanted the hearing to be about more than just Russia and reiterated that the hearing at large was supposed to be about worldwide threats. 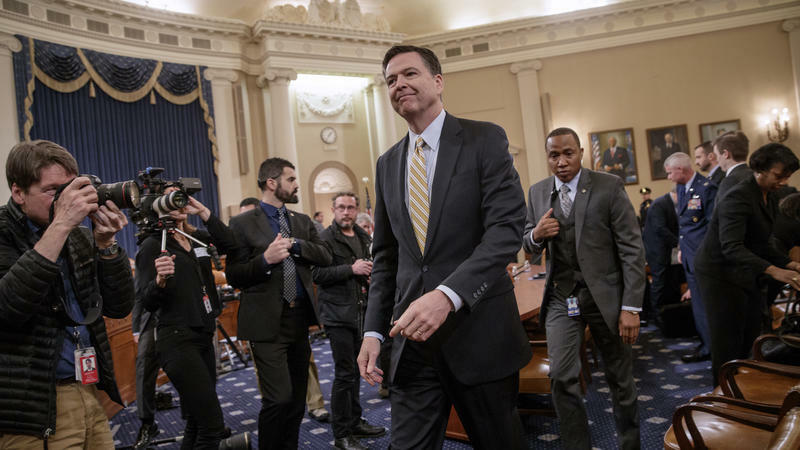 But questions about Russia, the ongoing FBI investigation and Comey's dismissal dominated the hearing. In his own first question to McCabe, Burr asked the acting FBI director about one of the more puzzling and surprising statements in Trump's termination letter to Comey — that the law enforcement chief told the president on three separate occasions that he was not under investigation in regards to Russia. 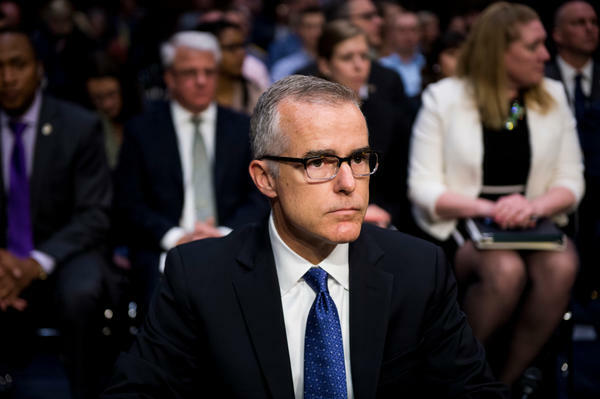 "Sir, I can't comment on any conversations the director may have had with the president," McCabe responded. He later told Sen. Susan Collins, R-Maine, that it was not standard FBI practice to notify someone if they are not under investigation. McCabe also told Collins he wasn't familiar with any meeting Comey had with Deputy Attorney General Rod Rosenstein to request more resources for the Russia investigation. Senate aides have told NPR that Comey met with key members just before he was fired. 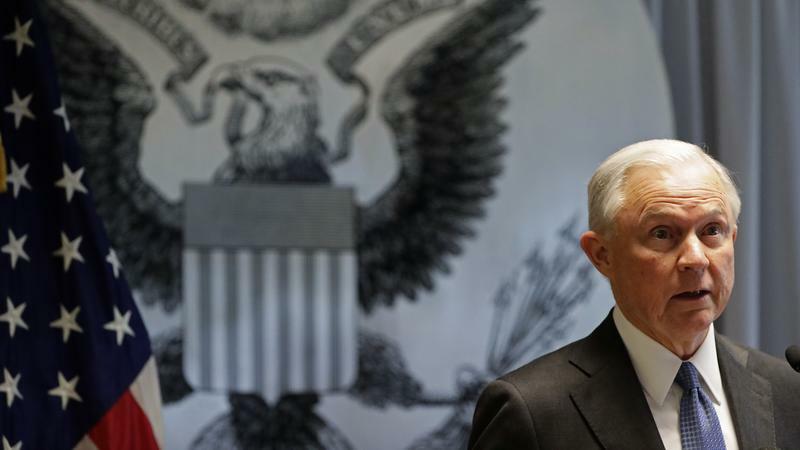 "I strongly believe the Russia investigation is adequately resourced," McCabe told the lawmakers. Midway through the hearing, both Burr and Warner excused themselves for a private meeting with Rosenstein. 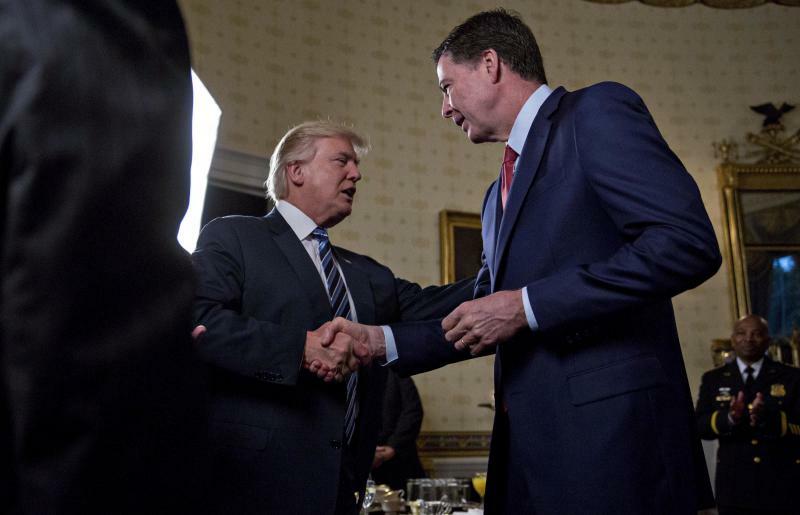 After the meeting, the two committee leaders explained the meeting had been requested prior to Comey's dismissal and that it was to "set up a process for deconfliction" between the FBI investigation into Russia and the intelligence committee's own independent probe. 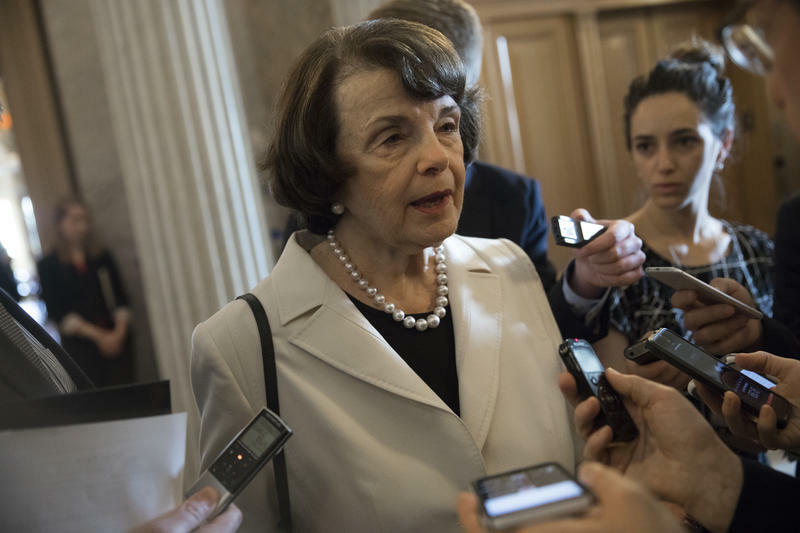 "Regardless of what happens by the Justice Department or by the FBI, the investigation that is done by the Senate Intelligence Committee will continue on its current course as aggressively as we're able to," Burr said. Warner, who noted that he had voted for Rosenstein's confirmation, said he relayed concerns to the deputy attorney general about the timing of Comey's firing and the memo that Rosenstein wrote for the president justifying the termination. While Trump has continued to cast doubt on the intelligence community's findings that Russia sought to influence the U.S. elections to benefit his campaign, the intelligence leaders were unanimous in their assessment that Russia had indeed interfered with the election. "Moscow has a highly advanced offensive cyber program, and in recent years, the Kremlin has assumed a more aggressive cyber posture. This aggressiveness was evident in Russia's efforts to influence the 2016 US election, and we assess that only Russia's senior-most officials could have authorized the 2016 US election-focused data thefts and disclosures, based on the scope and sensitivity of the targets." Also joining McCabe and Coats on the panel were: CIA Director Michael Pompeo, National Security Agency Director Adm. Mike Rogers and the heads of the Defense Intelligence Agency and the National Geospatial-Intelligence Agency.